Installation: No battery and wire required. Resettable:Partial counter reset.Total hours can not be reset. Sensitivity:Can be set to high or low. Service life:5 years with normal use. Please press the S button shortly for one time to exposure lock before installing. 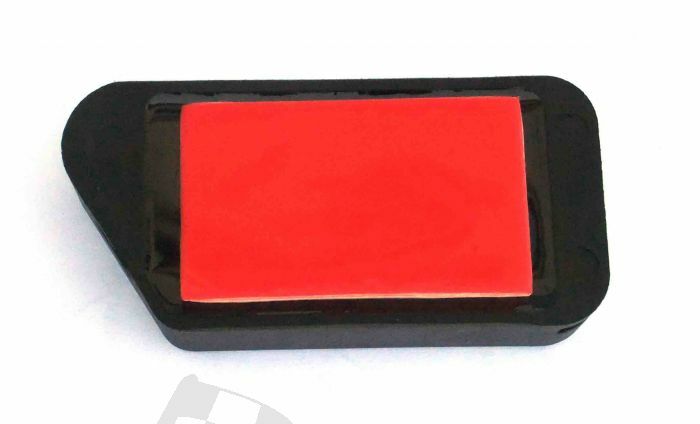 Install the counter, with adhesive strip in the back, in a position with vibration coming from the engine (in motorbikes the best part is the outer part of the chassis), but not too close to hot components (as exhaust). Please clean deeply surfaces before install the hour meter with outer temperatures exceeding 10°C . In order to avoid accidental detachments it is possible to use holes in the sides of hour meter using two tie wraps to fix the product to the vehicle. To check a proper installation, please switch on the engine and wait a few seconds (around 8 – 10 s). The display will switch on showing the working hours and the blinking dot. (1)NORMAL USE :Switch on the engine and wait a few seconds (around 8 – 10 s). The display turns on automatically, showing the working hours and the blinking dot. (2)SENSITIVITY SETTING :Push briefly S button: the LCD display SEN, then press S button again. B.Set to low sensitivity:when the display show HI, push briefly S button again,the display show Lo,display will auto-switch off after a few seconds ,the vibration sensitivity is set to low. (3)TOTAL COUNTER VISUALIZATION :Push briefly S button: the display shows tot for 3-4 seconds,and after this, the total working hours value for around 8 seconds. At the end of this visualization the display will turn off automatically. (4)PARTIAL COUNTER VISUALIZATION :Push briefly S button: the display shows tot for 3-4 seconds,and after this, the total working hours value for around 8 seconds.During the visualization, push S button briefly: display shows Par for around 3 seconds,and after this, the partial working hours for around 8 seconds.At the end of this visualization the display will turn off automatically. 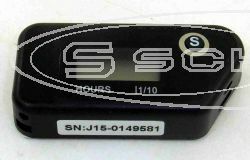 (5)PARTIAL COUNTER RESET :Push briefly S button: the display shows tot for 3-4 seconds,and after this, the total working hours value for around 8 seconds. During the visualization, push S button briefly: display shows Par for around 3 seconds,and after this, the partial working hours for around 8 seconds. During the visualization,Keep pressing S button until you see “00000” . 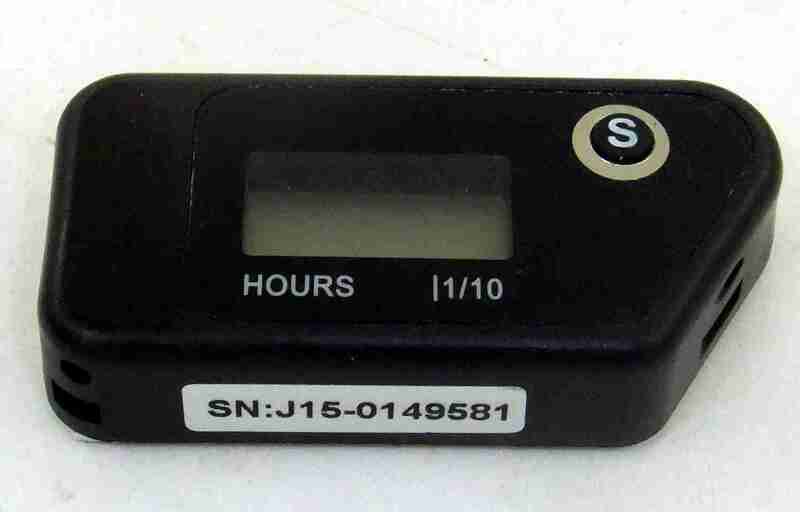 Release S button: display will auto-switch off after a few seconds and the partial hours counter is Reset. (6)LOCKING :Push briefly S button: the display shows tot for 3-4 seconds,during the flash,keep pressing the S button around 8 seconds until you see “Loc”,then it is locked. DOMINO THROTTLE TWIST GRIP 2-STROKE KTM/HUSKY ..